Instagram has over 800 million active monthly users, with 75 million visiting daily. Foster brand awareness with relevant and engaging content. Improve customer service by replying to feedback, questions and comments. Social media is relatively inexpensive compared to traditional marketing outlets (radio, TV and newspaper) and reaches a much larger audience. Social media can also help build links that support your SEO efforts (which in turn drives more traffic to your website). And social media platforms like Facebook and Google+ are doing a much better job at indexing keywords in your profile descriptions but also your post content. Pin, Post, Tweet, Snap and Gram with intention. Small Business Owners in general do not have much free time, in fact, they’re usually wearing many hats throughout the day. Many do not have time to post consistent, well thought content on the various social media platforms needed to reach multiple target audiences. 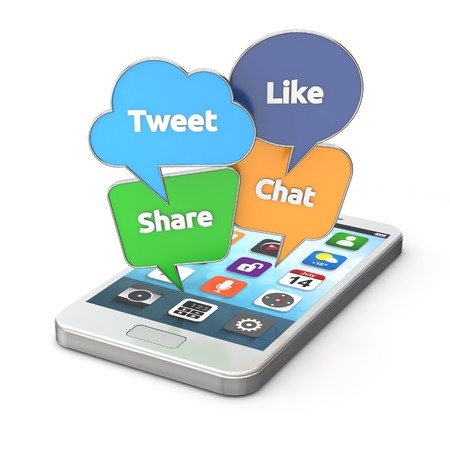 Yet having an effective, consistent and quality social media strategy is a must these days and can give your business a cutting edge when promoting your brand, directing traffic to your site, announcing events & sales, and connecting with your customers. Design & Setup: We will develop a business account on the various social channels, with a professional designed profile photos, graphics and profile information. Strategy & Planning: After we research your industry, your company and your target audience, we will post original, engaging contentthat is directed to your specific target audience as to create a memorable brand. Consistency: We have tools in place to make sure that we will uphold our agreed upon frequency, each day, each week and each month so you’re engaging your audience regularly and consistently. Content Marketing: Consumers are tired of the endless commercialized posts that many businesses generate day after day. We will produce and share content that will inform, inspire and entertain your target audience, while at the same time promoting your business. Stories & Events: Social Stories are a great way to show the faces behind a brand, show other sides of your business including staff, partners and other departments and repurpose content. Facebook Events are becoming a local resource for an accessible event calendar for our communities. Responding: If someone asks a question and it takes days or weeks to answer, you’ve probably lost that sale and hence impaired your brand. Show your company’s responsiveness by answering questions, thanking people for feedback and responding to their comments. Engagement: Social Media is not just a one-way conversation. You should spend a portion of your time listening, liking, following and showing interest in your target audience. Just as a successful conversation is about talking and listening, the same is true on social media. Marketing: We can regularly run ad campaigns to drive more users to your page, to your website or call you for more information. After we determine your call-to-action, your audience demographics and location, we will market the ad accordingly. 50% of millennials use social to research products before purchasing. 7 in 10 Gen Xers are more likely to make purchases from brands they follow on social. Your business needs an effective social media presence for a measurable ROI. Call or email today for a free estimate. Estimate will include a one-hour interview with client and there will be on-going communication as needed. Social Media Management: we can post unique content on various social media channels, with a set frequency and consistent communication with the client to define and refine strategy. Social Media Consulting: we can review your existing accounts, develop a strategy to improve and enhance your presence. We can train you and your staff on the differences between the platforms, how to use each, what to post and when, as well other various tips. Social Media Ads: working within your budget we will increase brand awareness, promote your products, services and events, as well as increase hits to your website with engaging graphics and customized target audiences. Customized Packages: We have a variety of customized packages that meet each of our customer’s needs and budget. Packages can include content creation, engagement, ads, stories, events, training and analytics.